Seiland igneous province, North Norwegian Caledonides. 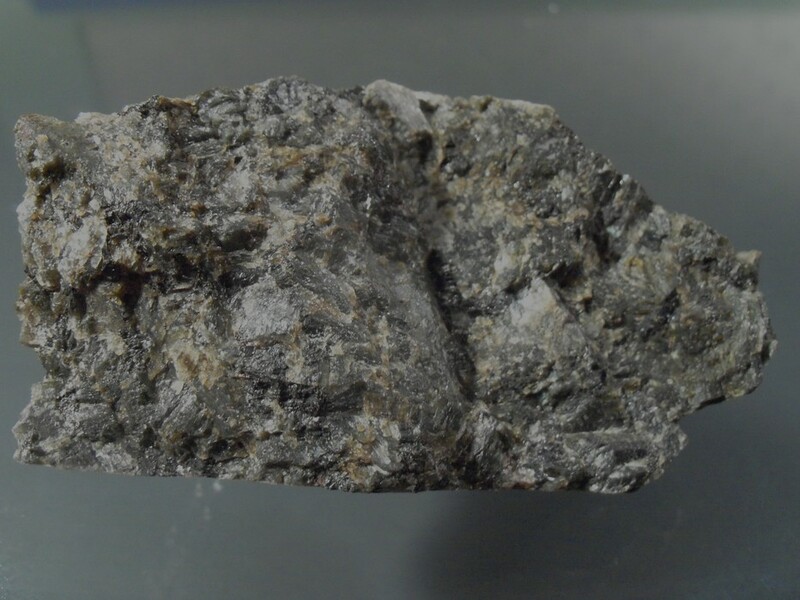 Xenoliths in metagabbro (929 ±18 Ma)associated with paragneisses and metasyenites. The xenoliths are anatectic pelitic rocks with gneiss foliation. Elvevold, S. & Reginiussen, H. (1996): Reaction textures in contact metamorphosed xenoliths; implications for the tectonothermal evolution of the Seiland Igneous Province, Norwegian Caledonides. European Journal of Mineralogy, 8, 777-789.